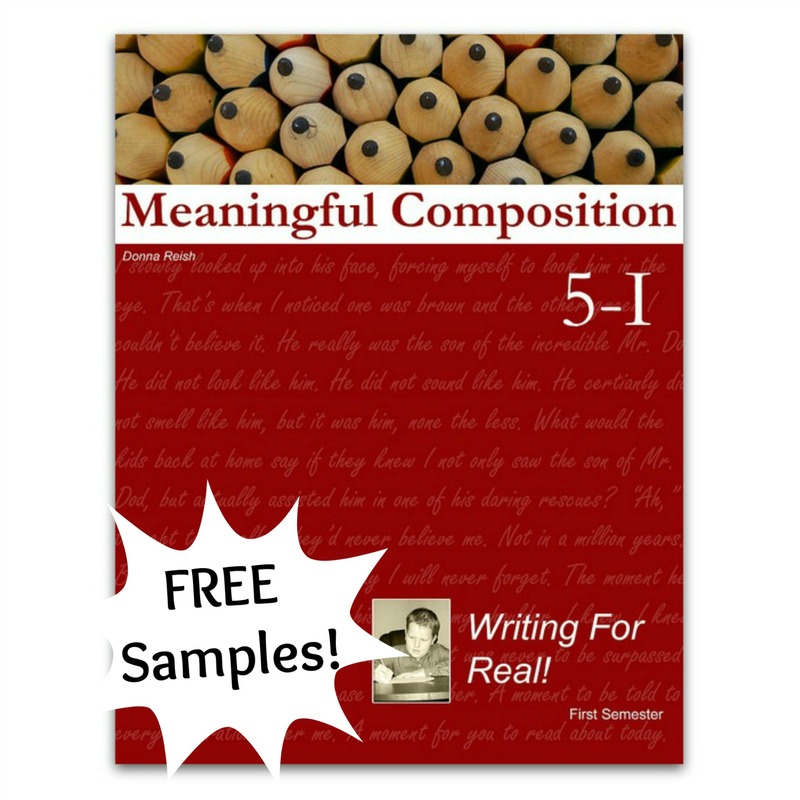 Home / Meaningful Composition / Meaningful Composition 5-I: Writing For Real! 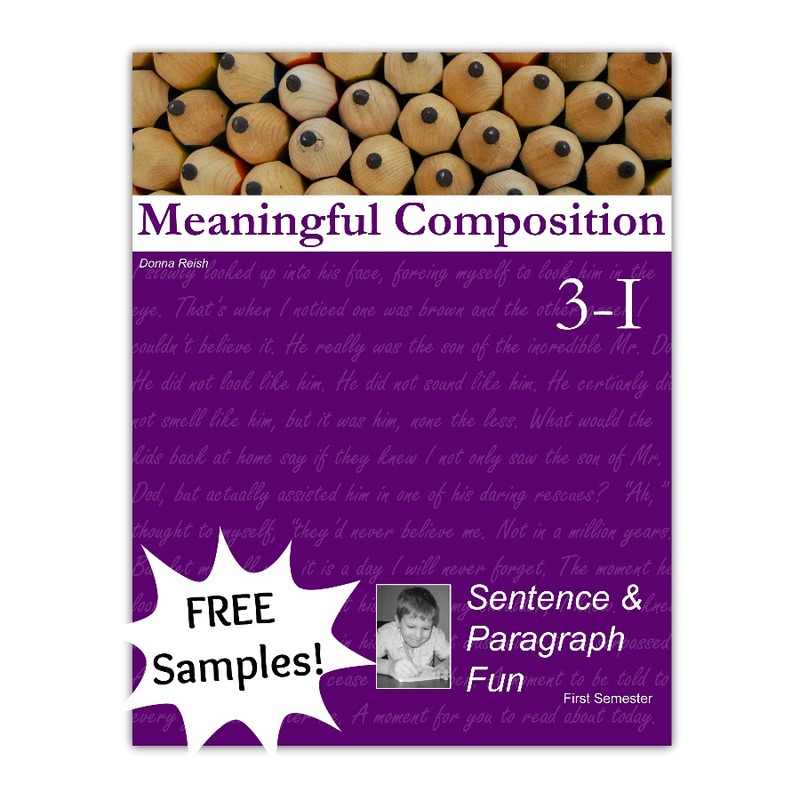 This book for approximately fifth grade writers contains many multi-paragraph writing projects to introduce students to a myriad of writing skills. Students will learn “pre-writing” or “need to know this in order to complete the projects” skills such as finding the main idea of paragraphs, quotation inclusion, beginning research skills, using an encyclopedia, incorporating our Overview Source Method to source writing, beginning use of our Color-Coded Research, mapping, brainstorming, thesis statement writing, thesis statement “reloaded” writing, using our Checklist Challenge for editing, and outlining on outlining cards. 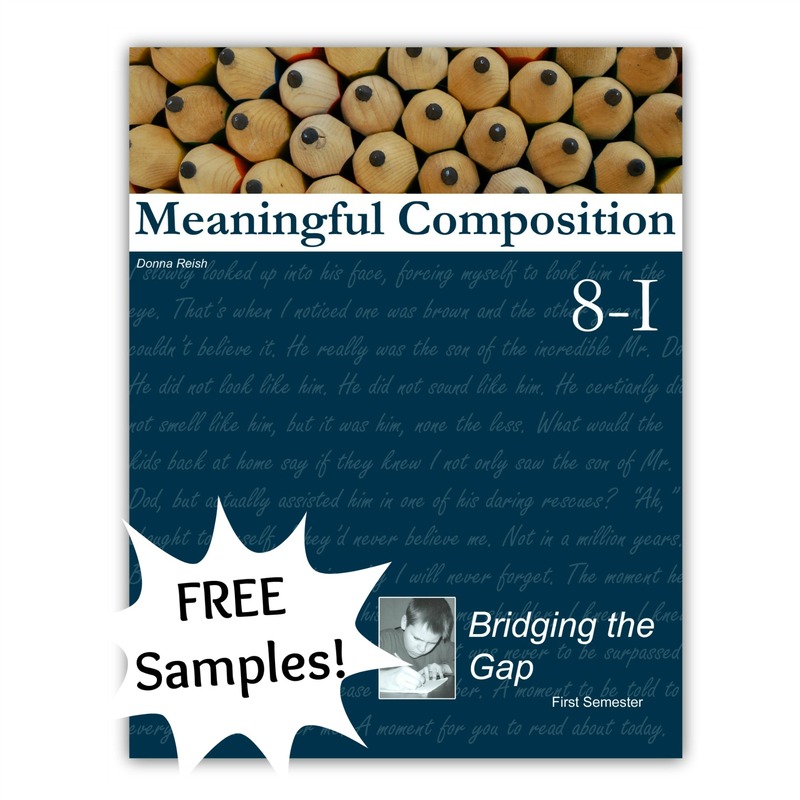 This book for approximately fifth grade writers contains many multi-paragraph writing projects to introduce students to a myriad of writing skills. Students will learn “pre-writing” or “need to know this in order to complete the projects” skills such as finding the main idea of paragraphs, quotation inclusion, beginning research skills, using an encyclopedia, incorporating our Overview Source Method to source writing, beginning use of our Color-Coded Research, mapping, brainstorming, thesis statement writing, thesis statement “reloaded” writing, using our Checklist Challenge for editing, and outlining on outlining cards. Projects in this book include many Sentence-by-Sentence (S-by-S) Outlines and Essays/Reports including inventor Bob LeTourneau, missionary Jonathan Goforth, volcanoes, raccoons, the guillernot, George Mueller, and casts. Students also complete many projects in which they find their own sources (or come up with creative material on their own—again, using our Directed Writing Approach). 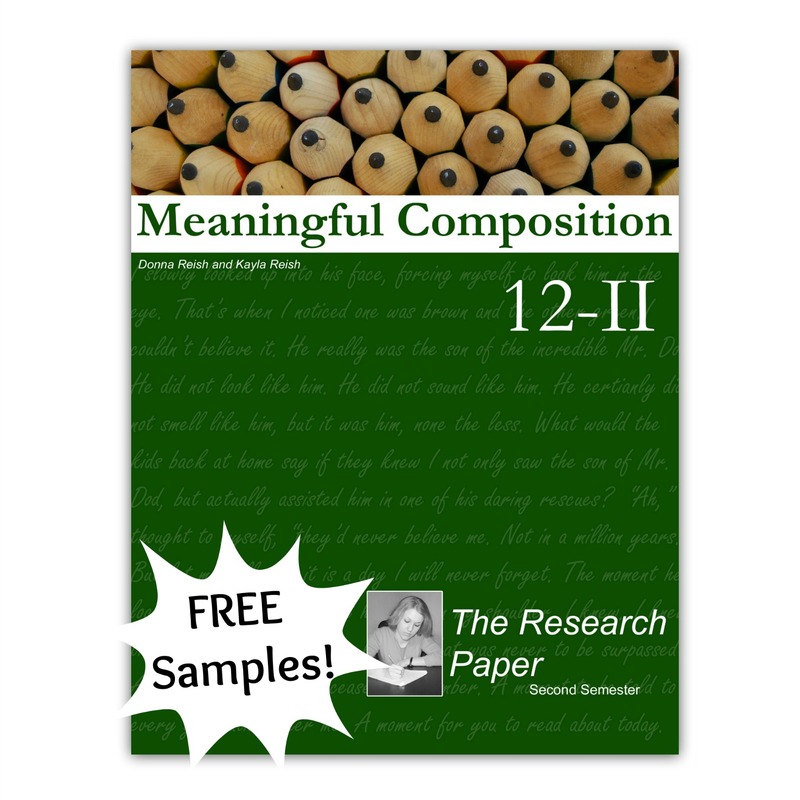 Some of these include animals that do or do not show mercy, thank-you letters, scientific animal report (zoology), compare/contrast essay, short story, and more. This book will excite your young student about writing! Note that all of our first semester books from 5-I through and including 9-I have step-by-step lessons on How to Create and Write From a Sentence-by-Sentence Outline Over Given Material and How to Complete the Checklist Challenge.